Get the best of both worlds with an apricot cold shoulder gown bearing an illusion neckline and chic trumpet silhouette. The soft hue complements fashion-forward accents to create one gorgeous springtime look. Or, put your best foot forward with a high-low hem in a fiery red hue, similar illusion neckline, and polished belted middle. So dreamy. Seeking a more classic shape? Simplify your silhouette with a form-fitting number that shows off every curve. 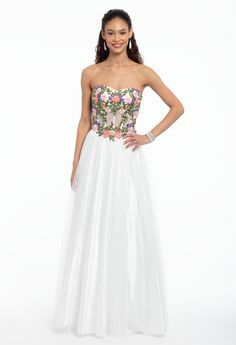 The halter neckline offers an athletic cut while head-to-toe lace gives off a heavenly glow from dance floor to dessert and beyond. If you’re totally hot for halters, mingle with pals in an allover lace dress with subtle shine à la heat set rhinestones. These looks are more or lace stunning for prom ‘17. 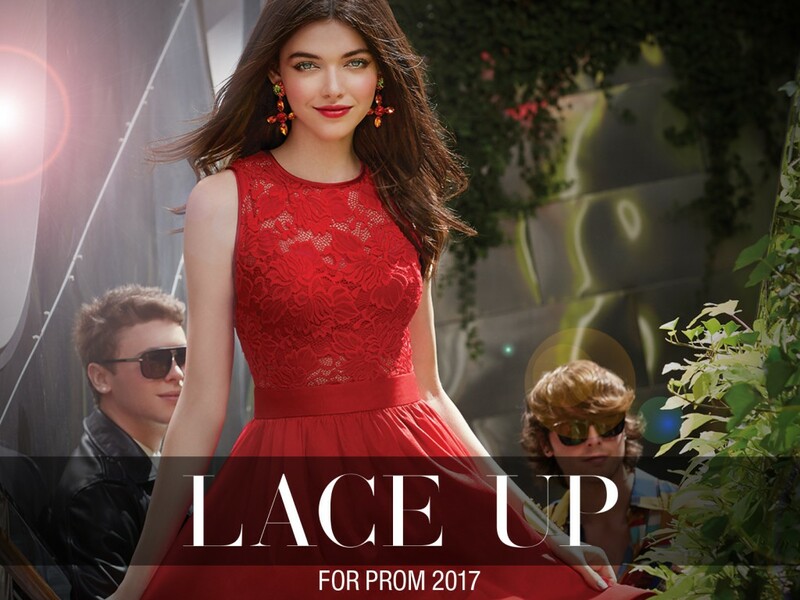 Shop all lace prom dresses now!